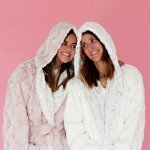 Treat yourself to the most luxurious robe ever! 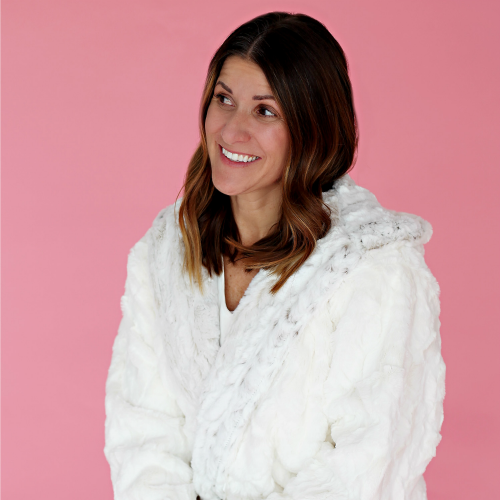 We've created a Designer Robe with our gorgeous cream Divinity faux fur and fully lined it with satin, for extravagant comfort. 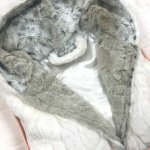 The lapels and hood are lined in a snow leopard patterned faux fur. Two front pockets and a sash to close. Spoil your special someone this Christmas with our Limited Edition, Minky Couture robe. Minky Couture gift box included.